Kalamazoo, MI: On September 20, 2017, investigators from the Kalamazoo Valley Enforcement Team, along with officers from the Kalamazoo Department of Public Safety Operations Division, conducted an operation on the east side of Kalamazoo in reference to recent gun violence in that area. During this operation, undercover investigators and uniformed officers were utilized. 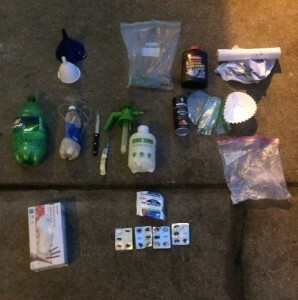 While in the area, officers observed a wanted felon conduct a drug transaction. The suspect had a 5 count felony warrant for his arrest. The arrest warrant was in reference to a recent shooting that happened in that same area. Surveillance was conducted on the suspect and officers arrested him as he was exiting a local liquor store. During a search of the suspect and his vehicle, officers located a loaded handgun, additional ammunition, heroin, crack cocaine, crystal methamphetamine, and marijuana. The handgun was reported stolen to the Kalamazoo County Sheriff’s Department in 2016. The 21 year old Kalamazoo man was arrested on his outstanding felony warrant. Charges will also be submitted for Felony Firearms, Felon in Possession of a Firearm, Carrying a Concealed Weapon, Possession of a Stolen Handgun, Possession with Intent to Distribute Crack Cocaine, Possession with Intent to Distribute Methamphetamines, Delivery of Heroin, and Possession of Marijuana. Investigators made contact with several citizens in the neighborhood in reference to the action taken during this investigation. Many of the citizens contacted expressed their appreciation to the officers for addressing this issue. KVET investigators will continue to actively search for additional suspects related to the recent gun violence. Anyone with information regarding illegal drugs or firearms activity is urged to contact KVET at 269-337-8880, or report an anonymous tip to Silent Observer at 269-343-2100 or www.kalamazoosilentobserver.com. Kalamazoo, MI: On August 3rd, investigators from the Kalamazoo Valley Enforcement Team and officers from the Community Policing Unit conducted an operation in Interfaith Homes in reference to recent citizen complaints of drug activity and gun violence. During this operation, officers arrested a 27 year old Kalamazoo man who was a wanted parole absconder. Officers also obtained and executed a search warrant at an apartment inside the complex. Upon searching the residence, officers located suspected heroin and evidence of drug dealing. A 44 year old Kalamazoo man was not arrested but charges of Possession With Intent to Distribute Heroin and Maintaining a Drug House will be forwarded to the Kalamazoo County Prosecutor’s Office for review and prosecution. During this operation, KVET investigators utilized a video surveillance system installed inside the complex by the owners of Interfaith Homes. KVET investigators will continue to aggressively investigate drug and weapons related crimes at Interfaith Homes. Kalamazoo, MI: On June 13th, investigators from the Kalamazoo Valley Enforcement Team, along with officers from the Kalamazoo Metro SWAT Team, executed a search warrant in the 1400 block of Princeton Ave. This warrant was in reference to citizen complaints of high levels of drug activity and violence in the area, which were affecting the quality of life in the neighborhood. Upon arriving at the residence, two adult suspects were located inside. Three additional subjects were detained outside of the residence. During a search of the home and vehicles, investigators located over 35 grams of suspected Fentanyl (over 350 user doses), one ounce of Crystal Methamphetamine, over a pound of Marijuana, two loaded handguns and evidence of drug distribution. One of the handguns located was stolen from Cheboygan, MI. A third suspect was located at a different location. 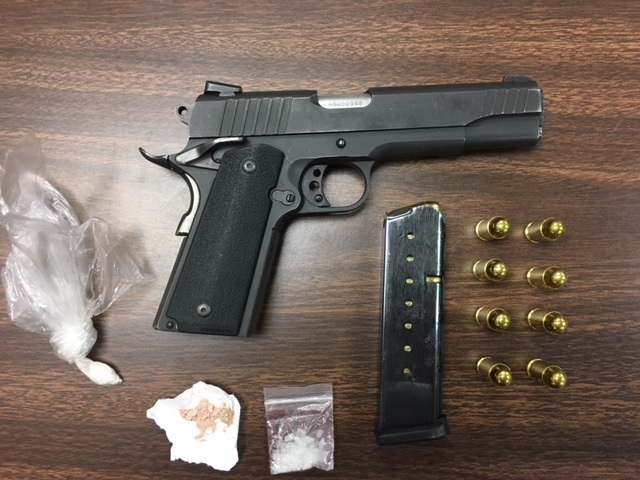 A 29 year old Benton Harbor man was arrested for Possession With Intent to Deliver Fentanyl, Possession With Intent to Deliver Methamphetamine, Felon in Possession of a Firearm, Felony Firearms and three outstanding warrants. A 28 year old Kalamazoo man was arrested for Possession With Intent to Deliver Methamphetamine and three outstanding warrants. 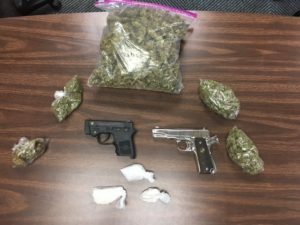 A third suspect was not arrested but will be charged with Possession With Intent to Deliver Marijuana and Maintaining a Drug House, at a later date. All charges will be forwarded to the Kalamazoo County Prosecutor’s Office for review. This investigation was assisted by the numerous citizen tips and complaints made in reference to this neighborhood nuisance. Investigators made contact with several citizens in the neighborhood in reference to the action taken during this investigation. All citizens contacted were thankful and appreciative that the problem house was addressed. Kalamazoo, MI: On March 24th, investigators from the Kalamazoo Valley Enforcement Team teamed up with parole agents from the Michigan Department of Corrections to conduct late night compliance checks on subjects paroled in the County of Kalamazoo. These checks are to ensure subjects on parole are obeying their restrictions and are living in safe and supportive environments. While conducting a compliance check in the 3700 block of Vanrick Dr, investigators and agents made contact with a 37 year old man who is on Parole and a 26 year old female. While speaking with the subjects, investigators and agents located an active methamphetamine lab and finished methamphetamine in their vehicle. The 37 year old man was arrested for parole violations and lodged at the Kalamazoo County Jail. The 26 year old female was released from the scene pending charges. Charges of Operating / Maintaining a Methamphetamine lab and Possession of Methamphetamine will be sought against both suspects. Certified Methamphetamine responders from KDPS responded to the scene and conducted the Methamphetamine lab clean up. This is the second time in the past seven months that the same male Parolee has been arrested for Methamphetamine related charges during a late night compliance check conducted by KVET and MDOC. Kalamazoo, MI: On January 7th, investigators from the Kalamazoo Valley Enforcement Team and officers from the Kalamazoo Metro SWAT Team executed two search warrants and three arrest warrants in the 500 block of Florence St. KVET investigators had conducted a two month long investigation into the area in response to countless citizen complaints of drug trafficking and violence in the area. During this investigation, several suspects were identified and arrest warrants were obtained for them. During a search of these locations, investigators located crack cocaine packaged for sale, a large amount of marijuana, ammunition, evidence of discharging firearms and additional items used in the packaging and distribution of narcotics. While at these locations, investigators were able to locate and arrest three suspects on felony drug warrants. A 41 year old female was arrested on a warrant for Delivery and Manufacturing of Crack Cocaine. A 21 year old male and a 25 year old male were also arrested for Delivery and Manufacturing of Crack Cocaine. All suspects are Kalamazoo residents and were lodged at the Kalamazoo County Jail. The City of Kalamazoo Housing Department also responded to the scene and condemned both locations due to hazardous conditions. KVET investigators will continue to address drug activity in the area and will continue to search for additional suspects. Home to the Kalamazoo Promise, three institutions of higher education, two nationally recognized healthcare systems, cutting-edge medical research, world-class brewing and dining, outstanding parks, and an extensive variety of music, art, theatre, and cultural attractions. Copyright © 2019 City of Kalamazoo.